Administrative Law Judge (ALJ) Marian H. Tully, Office of Administrative Hearings (OAH), State of California, heard this matter on October 9, 10, 11, 15 and 16, 2012, in Rancho Cucamonga, California. Student’s mother (Mother) represented Student, assisted by Peter Attwood, advocate, and Chris Al-Chalati on October 9, 2012, and Maia Pawooskar on October 16, 2012. Student’s father attended the afternoon of October 15, 2012. Jack B. Clarke, Jr., Attorney at Law, represented Upland Unified School District (District). Benjamin Rich, District Director of Special Education, and Amy Foody, West End Special Education Local Plan Area (SELPA) Program Manager, attended each day of the hearing. Attorney Maria Macchiagodena, Council for the Archdiocese, appeared on behalf of Student’s witnesses Bernadette Boyle and Brigid Garvey during their testimony on October 15, 2012. 1 Student filed an Amended Complaint as to SBCSS on August 14, 2012. SBCSS filed a motion to be dismissed as a party on October 2, 2012. The motion was heard and SBCSS was dismissed on October 9, 2012. 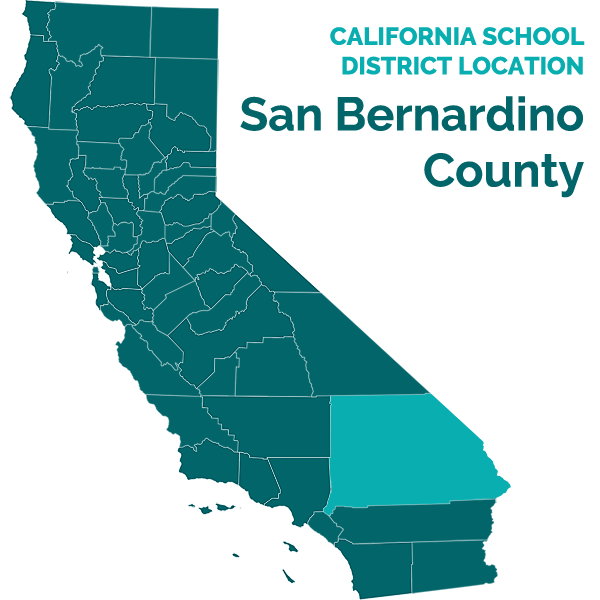 Student filed a Due Process Hearing Complaint (complaint) on July 13, 2012, naming District and San Bernardino County Superintendent of Schools (SBCSS). 1 Student’s complaint against District alleged she was denied a free appropriate public education (FAPE) because District failed to conduct assessments, convene an individualized education program (IEP) team meeting, prepare an IEP, and provide prior written notice, for the 2009-2010 school year and extended school year. By order dated July 31, 2012, OAH found Student’s claims prior to July 13, 2010, barred by the two year statute of limitations applicable to due process complaints. (Ed. Code, § 56505, subd. (l); see also 20 U.S.C. §1415(f)(3)(C).) Accordingly, Student’s claims for the 2009-2010 school year were barred and the matter proceeded to hearing on Student’s substantive and procedural claims from July 13, 2010, through August 2010, the extended school year. At the conclusion of the hearing on October 16, 2012, the ALJ granted the parties’ joint request for a continuance to file written closing arguments by November 6, 2012. The record was closed and the matter was submitted upon receipt of written closing arguments on November 6, 2012. Did District fail to provide Student a FAPE during the extended school year (ESY) from July 13, 2010, to August 2010? 1. Student was 15 years old at the time of hearing. At all relevant times, Student lived with her Mother and Father (Parents) in the area served by District. Student was found eligible for special education and related services under the classification of mental retardation, now referred to as an intellectual disability, at the age of three years, 10 months. 2. Student began kindergarten for the 2002-2003 school year in a special day class at Valencia Elementary School (Valencia), her home school within District. Part way through kindergarten, Parents enrolled Student at Our Lady of the Assumption (OLA), a private school within the boundaries of the Claremont Unified School District (Claremont). Student attended Valencia in the mornings and OLA in the afternoons for the remainder of her kindergarten year. Student did not return to Valencia for first grade. Student attended OLA from first grade (2003-2004) through sixth grade (2009-2010). 2 Section 504 of the Rehabilitation Act of 1973 (29 U.S.C. § 701 et seq.). 3 Lindamood Bell was an intensive, multi-sensory, language-based reading program delivered in private reading centers on a one-to-one basis. 3. Association of Schools and Colleges (WASC). OLA followed California state curriculum standards. OLA offered minor adjustment plans to children who needed them, including Student, such as preferential seating, extended time for homework and classwork, and oral testing. OLA provided Student a general education program with minor adjustments and implemented a 504 Plan 2 for Student. Student’s 504 Plan called for more time to study and take tests, breaks during testing and testing in a distraction free environment. Parents provided a one-to-one aide to help implement Student’s 504 Plan. While Student attended OLA her curriculum was not modified and she was expected to meet the same standards of curriculum content mastery as her typical peers. 4. On July 9, 2008, while Student attended OLA in fifth grade, District conducted Student’s triennial IEP team meeting. Claremont provided the assessments used for that IEP team meeting, including an occupational therapy (OT) assessment by Gallagher Pediatric Therapy (Gallagher Report). 5. The IEP team found Student continued to be eligible for special education and related services. According to the IEP, Student was expected, with accommodations, to meet the same standards of curriculum content mastery as non-special education students and to take California standardized tests in English, math and science. She was projected to participate in a high school curriculum leading to a diploma and to take the California High School Exit Exam. The District’s offer of FAPE for the 2008-2009 school year was a general education setting with related services including specialized academic instruction, language and speech services, a transitional aide, and ESY. Parents asked District to provide OT for Student and placement in the Lindamood Bell program (Lindamood Bell). 3 OT was considered but not offered. The Gallagher Report found Student had some difficulties in processing sensory information and delay in some fine and gross motor development but did not identify any unique needs nor recommend any particular therapies or specific services. The IEP team reviewed the Gallagher Report and determined motor development was not an area of unique need. District considered but declined to provide Lindamood Bell or to reimburse Parents for that program. Parents did not consent to the IEP because the IEP did not provide OT or Lindamood Bell. The IEP was never implemented. 6. Six members of the July 2008 IEP team, in addition to Mother, testified at the hearing. Carla Stephens, District Special Education Teacher, assessed Student but did not recall the assessment, when the assessment took place, or any particulars about the meeting or the IEP. Elizabeth Ragaza, District Occupational Therapist, did not assess Student, did not recall any OT assessment, and did not recall assessments being discussed at the IEP team meeting. Loren Thompson, Principal of Valencia, was not involved directly with Student and did not recall the meeting. Lynda Spicer, District Director of Special Education, recalled Mother’s request for reimbursement for Lindamood Bell and that OT was not offered because there was no identified need. Judith Trimble, Case Manager, did not recall any discussion of ESY at the team meeting. Bernadette Boyle, OLA Principal, did not recall the meeting, the IEP, or whether Lindamood Bell was beneficial for Student. 7. Although none of the witnesses testified as to the reason ESY was offered in 2008, they established the factors an IEP team considers in making a determination to offer ESY. Many pupils, including typical pupils, experience some regression over the summer months. A pupil’s particular eligibility category does not govern whether a pupil will need ESY. In determining whether to offer ESY, the IEP team considers the extent the pupil is likely to regress during the summer break and whether the pupil is likely to recoup lost skills without taking an inordinate amount of time to return to the level of performance pupil achieved at the end of the preceding school year. To make this determination the team looks at a pupil’s performance during the school year, the pupil’s progress on goals and objectives, and considers whether a break in service will produce regression. This determination is made each year. Whether ESY was offered in the past is not an indicator the pupil will continue to need ESY the following year or years because each pupil is different and their needs change. ESY consists of approximately 20 days of instruction. The ESY in 2010 was from July 13 through August 10. 4 Parents were aware of their rights, and equipped to challenge, the 2008 IEP. District provided Parents a copy of Parent’s Procedural Safeguards at the July 2008 IEP team meeting. Student and District have had a long and contentious history of litigation beginning with OAH Case No. 2005070306 in June 2005. That matter settled on the record the first day of hearing. A dispute arose over the terms of the settlement agreement and another case was filed against District in December 2007. At issue in OAH Case No. 2007120214, was whether District, and Claremont, breached the settlement agreement by failing to assess Student in order to develop an offer of FAPE for the 2007-2008 school year, and, regardless of the terms of the settlement agreement, whether District was required to assess Student upon written request from Mother. The matter was heard in December 2010 and January 2011. OAH issued a decision on February 18, 2011. The ALJ found that District denied Student a FAPE by failing to conduct assessments pursuant to the settlement agreement and that both districts had a concomitant duty to assess Student upon written request from her parents. That matter was pending in the Federal courts at the time of hearing. 8. District did not provide, and Parents did not request, any assessments or an IEP at any time after July 2008. Parents did not file a complaint to challenge the July 2008 IEP. 4 Parents did not inform District that they were placing Student at OLA for the 2008-2009 school year. District did not offer an IEP at any time after July 2008 because Parents voluntarily placed Student in a private school outside District boundaries. If Parents had requested an offer of FAPE, District would have convened an IEP team meeting. 9. Ms. Boyle was employed by OLA from 2002 through the time of the hearing. She was the principal of OLA during the 2009-2010 school year. Ms. Boyle holds a B.A. in geography from the University of Liverpool, England, and has a certificate of education, the British equivalent of a California teaching credential. Ms. Boyle has no background in special education. Ms. Boyle knew Student from the time Student was enrolled in kindergarten at OLA. OLA’s program was appropriate for Student through third and fourth grade, but it became obvious to Ms. Boyle and Student’s teachers in fifth and sixth grade that Student could not do grade level work. The OLA curriculum was no longer appropriate for Student due to the increasingly difficult subject matter and significantly higher work load in the upper grades. In June 2010, OLA informed Parents that Student was no longer benefiting from the OLA general education program. OLA informed Parents that Student needed a modified curriculum or special education, which OLA did not provide. Mother strongly disagreed. She wrote to Ms. Boyle insisting Student could access the general education curriculum with a properly developed and implemented 504 Plan including minor adjustments. 10. Student did not return to OLA for seventh grade. Parents enrolled Student in California Virtual Academies (CAVA), an on-line charter school, for the 2010-2011 school year. CAVA conducted an IEP team meeting in the fall of 2010. Student was found eligible for special education and an IEP was provided. 11. Student attended Lindamood Bell at various times from at least 2006 through 2009. She did not attend Lindamood Bell in the summer of 2010. Student attended a summer program at Lindamood Bell in 2011. Anne Perry was the Director of the Lindamood Bell Center in Pasadena during the summer of 2010. Ms. Perry holds a M.Ed. in elementary education and a clear multi-subject credential through ninth grade with a specialization in English. She taught kindergarten through sixth grade for 14 years. She was employed at Lindamood Bell for six years, and the Director for more than three years. Ms. Perry first met Student in 2006 and worked with her over the years. Ms. Perry did not remember Student’s grade level performance in 2009, did not know anything about Student’s academic program during the school year and did not recall seeing regression over the summer of 2010. Mother testified that between the time Student attended Lindamood Bell in the summer of 2009 and when she returned to Lindamood Bell the summer of 2011, Student’s comprehension level had returned to her 2009 level. When Student returned to Lindamood Bell in the summer of 2011, Ms. Perry started her “a couple steps back” because Student’s test scores were a “bit” lower than the instructor “hoped for.” According to Mother, Student “pretty quickly” returned to her previous grade level during the summer of 2011. 6 All references to the Code of Federal Regulations are to the 2006 edition, unless otherwise specified. Student contends she was denied a FAPE by District’s failure to provide ESY from July 13, 2010, through August 2010. 5 Student argues she was eligible for special education and related services during ESY from July 13, 2010, to August 2010 because District had previously offered ESY, Student had a history of regression, and Parents never withdrew their request for services following the July 2008 IEP. Student further contends District committed certain procedural violations of the IDEA because District had an ongoing responsibility to conduct assessments, convene an IEP team meeting, and prepare an IEP offering ESY from July 13, 2010, to August 2010. For the reasons set forth below, Student failed to meet her burden of proof on both her substantive claim and the alleged procedural violations. 11. Where a student has an implemented IEP, the district has a continuing duty to review and revise the IEP if the prior year’s IEP is under administrative or judicial review even if parents do not cooperate. In Anchorage School District v. M.P. (9th Cir. 2012) _ F.3d _ [2012 WL 2927758 at p. 5] (Anchorage), a dispute arose out of an IEP that was implemented for the 2006-2007 school year. The parties attempted to revise the IEP for the 2007-2008 school year without success and parents filed a due process complaint. Meanwhile, district unilaterally postponed any further efforts to develop an IEP pending a final court decision in the matter. Ultimately, a district court found that the failure to develop an IEP was attributable to parents’ litigious approach. On appeal, the Ninth Circuit held that the district had an affirmative duty to review and revise, at least annually, an eligible child’s IEP. (Anchorage, supra, _ F.3d _ [2012 WL 2927758 at p. 5]; 20 U.S.C. § 414(d)(2)(A); 34 C.F.R. § 300.323(a).) School districts “cannot excuse their failure to satisfy the IDEA’s procedural requirements by blaming the parents.” (Anchorage, supra, at p. 5, citing Target Range, supra, 960 F.2d 1479, 1485.) Thus, in Anchorage, where student’s IEP was implemented, a district is required to review and revise the IEP annually but, as in Greenville, where parents refused to consent to an IEP and voluntarily placed their child in a private school outside district boundaries, a district is under no continuing obligation to review and revise the rejected IEP. 12. Because Student’s complaint against District was filed July 13, 2012, Student’s claim that District did not offer an IEP for 2009-2010 was barred by the statute of limitations except as to claims arising after July 13, 2010. Student failed to establish she was denied a FAPE during ESY from July 13, 2010 through August 2010. Student did not prove she needed special education or related services in excess of the regular school year. As an initial matter, although there was no dispute Student was found eligible for special education and related services in 2008, Student failed to prove her needs could not be met in a general education program with modifications in 2009-2010, specifically during the 2010 ESY. More importantly, Student did not prove she was entitled to ESY because there was no evidence she was likely to regress over the summer of 2010 or that she had limited ability to recoup lost skills. 15. Student also failed to establish any procedural violations occurring between July 13, 2010, and August 2010, by District’s failure to conduct assessments, convene an IEP team meeting, prepare an IEP, and provide prior written notice. All of Student’s requests for relief are denied. Pursuant to Education Code section 56507, subdivision (d), the hearing decision must indicate the extent to which each party has prevailed on each issue heard and decided. In accordance with that section, the following finding is made: District prevailed on all issues. The parties to this case have the right to appeal this Decision to a court of competent jurisdiction. If an appeal is made, it must be made within 90 days of receipt of this Decision in accordance with Education Code section 56505, subdivision (k).